Ideal for rapid intervention and rescue scenarios. 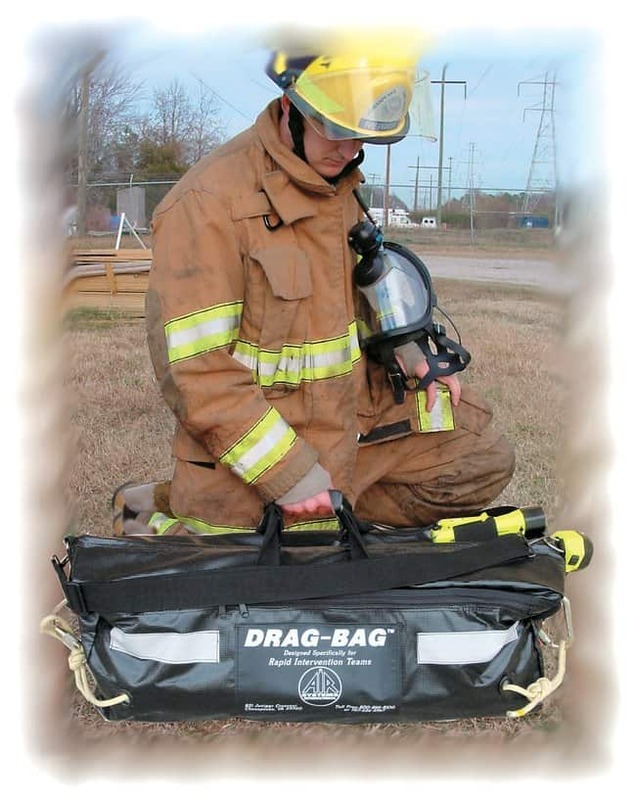 Includes: Drag-Bag and Drag-Reg regulator/cylinder frame assembly; rescue system includes bag, regulator assembly, and quick-fill hose. Multi-compartment, denier nylon bag can be used to drag or carry essential respirator components and rescue supplies into difficult rescue/rapid intervention situations. Bag without regulator/cylinder frame assembly measures 36L x 7W x 10 in.H (91.4 x 17.8 x 25.4cm). Optional accessories available including: 3/8 in. breathing air hose in 15 and 25 ft. (4.6 or 7.6m) coils with “Y“ fittings without couplings and Quick-fill hose, 5 ft. long (1.5m), with female FD-17 coupler with 1/4 male thread, 4500psi.